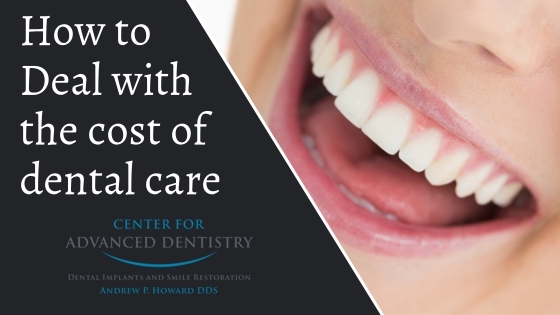 The cost of dental treatment can sometimes seem daunting. Depending on the circumstances, the cost of even basic treatment can be a hit to your monthly budget. Dental insurance can certainly help and annual limits typically max out at $1,500 to $2,000. Large comprehensive treatment such as full mouth reconstruction or a full set of implants can be a very large once in a life time expense. Much like buying a car these life-changing treatments can be financed through various lending agencies that can allow for affordable monthly payments. However, unlike a new car that depreciates rapidly and is only used for a few hours a day at most, a new smile can last a lifetime and is used every waking minute! Home equity loans are often the best option for large treatment plans and allow for very low interest rates. Other options include phasing treatment in smaller steps over a few years to maximize insurance coverage and spread out the cost. Regardless of the situation, one of our team members would be happy to help you get the smile and health you desire while working with your budget. Please view our video on the Advantages of Dental Implants by clicking here. 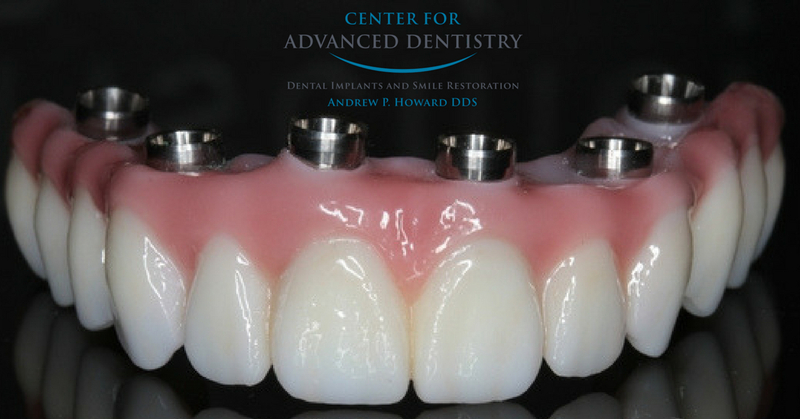 Conventional bridges and dentures are not fixed to the bone, and can therefore be unstable. This can make it difficult to eat or smile with confidence. Implants not only look more natural, but feel and act more like normal teeth, with a stronger biting force. And because they don’t directly rely on neighboring teeth for support, implants don’t compromise the health of your natural teeth. Great dental health and a beautiful smile may have come easy to you if you happen to have a combination of good care growing up and a great set of genes. However, for many that just is not the case. So much of our risk for dental problems is inherited from our parents and not everyone had ideal care as a child in our youth. The Center for Advanced Dentistry is committed to helping you have the very best smile and overall dental health possible regardless of your past and current situation. I believe that a comfortable, beautiful and healthy smile can be a reality for almost anyone. We are experts at solving some of the most severe and complex dental problems. Whether it is the need for an improved appearance, missing teeth, gum disease or even a severe phobia about going to the dentist, we can help you. We use the latest technology from innovative bone regeneration techniques, new dental implant materials and 3-D digital planning. Now, you can have the smile and comfort you want in less time than ever. If just having excellent dental care with the latest technology and techniques is your concern we are also here for you. I have spent many years learning the most advanced methods of restoring smiles from veneers to implants. It is truly my passion. I hope this blog will provide a good resource for helping you make decisions about your dental health. Please feel free to leave questions or comments. Thank you for taking the time to visit our blog. Please check back often for weekly updates on fun and exciting events happening at our office, important and interesting information about the dental industry and the latest news about our practice. Feel free to leave a comment or question for Dr. Andrew Howard and staff - we hope this will be a valuable resource for our patients, their families, and friends!